Snagajob’s 2016 State of the Hourly Worker report provides us with a deep insight and understanding of the hourly-paid workforce. After a deep dive into the results, we quickly saw a few easy things you can enact right away to make your job postings stand out to job seekers. Unemployment is currently at a very low rate. This means it’s getting harder and harder to recruit and retain the top talent. In fact, the State of the Hourly Worker report tells us that it’s not taking long at all for most job seekers to find employment. This chart is showing us that over half of those surveyed found their last job by only submitting one to three job applications. Because it’s becoming faster than ever to get hired, your job postings need to stand out to make sure your business is one of the first ones they apply to. When asked to rank what’s most important on a job posting, hourly job seekers consistently tell us that they first view location and then qualification information before taking the time to read the rest of the posting. It makes sense, seekers what to know if they can actually make it to the job and if they are able to apply before investing the time to read about the job. 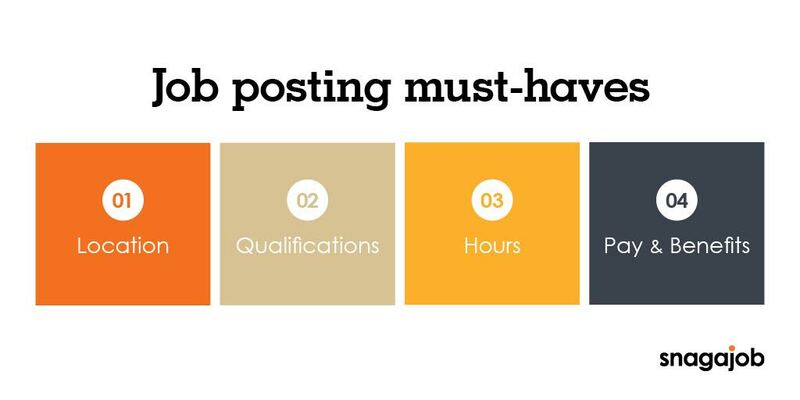 Use this information when crafting your job posting. To start, always include the exact location of the job. This not only makes it easy for your applicants to see if they can reach you, it will also utilize Snagajob’s map feature so they can see exactly how far you are from them. Almost 20 percent of hourly workers rely on public transportation to get to work. To compare, only 5 percent of the general population uses public transportation. That’s obviously a very significant difference! Because so many of your workers are using public transportation, make it easier on them (and yourself) and include any public transit information in your job posting. Something like “Only two blocks away from a GRTC bus stop” will quickly let the applicant know they can get to your location. In addition to location information, you also need to make your qualification information as clear as possible. This means including things like age and experience at the top of your posting. You can also take advantage of Snagajob’s tagging feature so those seekers who filter out by “teen” jobs will definitely see your posting. You’ve probably noticed that hours are listed as top things that job seekers are looking for in a job posting. By including shift information you’ll automatically weed out those who can’t work the hours you need and also gain applicants who need exactly what you have to offer. Job seekers are going mobile. This isn’t a secret and shouldn’t be a surprise. Over 70 percent of those surveyed say they use their mobile device in their job search. In fact, Snagajob’s mobile traffic is surpassing desktop traffic and there’s no sign that will slow down. Simply put, your job posting must be mobile optimized. This means keep it short, simple and to the point. 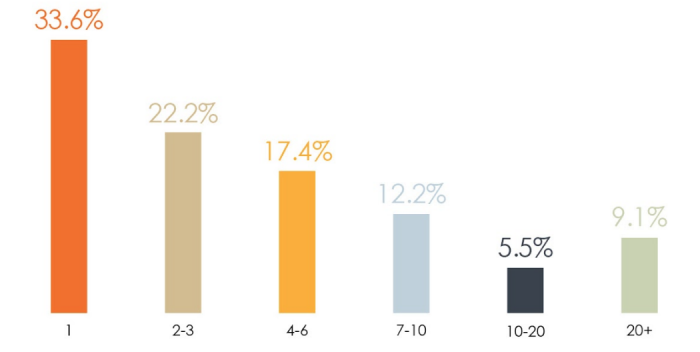 Currently, only about half of job postings are mobile friendly. If yours are not, you could definitely be losing out on job seekers who only use their phone to search – especially that millennial audience. Some of the best advice I can give you is to test it out for yourself. Try applying to one of your jobs with a mobile device and see how easy or frustrating it can be. If you, someone who is very familiar with the posting, are having a hard time viewing and completing, your applicants are most definitely getting discouraged. As I mentioned at the beginning of this article, job seekers aren’t having to submit a lot of job applications before getting hired. If your posting is complicated on mobile there’s a good chance they will disregard your posting and move on to the next. There’s not a big need for them to apply to every job they’re qualified for anymore. Want more insights on hourly workers and what they are looking for in a job posting? Check out this webinar where our search engine optimization expert goes over how to use search terms to your advantage and make sure your posting is one of the first they see.